This was meant to be the perfect trip. The Northern Lights. A luxury press launch on a boutique cruise ship. A chance for travel journalist Lo Blacklock to recover from a traumatic break-in that has left her on the verge of collapse. Except things don't go as planned. Woken in the night by screams, Lo rushes to her window to see a body thrown overboard from the next door cabin. But the records show that no-one ever checked into that cabin, and no passengers are missing from the boat. After reading In A Dark, Dark Wood last year and loving it, I was excited to get stuck into this book also by Ruth Ware. 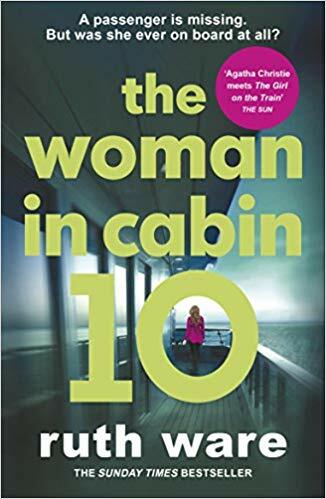 When Lo's flat is broken into and she comes face to face with the assailant, she's left shaken, unable to sleep and on the verge of a break down but she sees her upcoming press trip as a chance to get away from it all, to enjoy the luxury lifestyle aboard a cruise ship and rest and recuperate. However on her first evening on the ship she encounters a strange woman in the next cabin to her, she doesn't look like she belongs on the ship and is keen to get rid of Lo when she knocks on her door. A few hours later Lo hears screams coming from next door and witnesses what she think is a body being thrown overboard. The problem is, the cabin next door is empty, no one ever checked in and no one recognises the woman Lo describes. Did Lo's exhausted mind make a mistake or is there more going on onboard the luxury liner than anyone wants to admit? Just as I expected this book is full of twists and turns as Lo tries to learn the truth. What I will say though is there is a lot going on in this book, I try not to give spoilers away in my reviews but on top of the break in and suspected body overboard there's even more going in which at times felt too much and a lot less realistic than In A Dark, Dark Wood. If you can look past the jam packed plot you're in for a pretty decent read but I know to unrealistic nature of all the events would put some people off. In all I really enjoyed this book, I think it would have benefitted from whittling down some of the action and making just a couple of the scenerios stronger. Quality over quantity if you will. 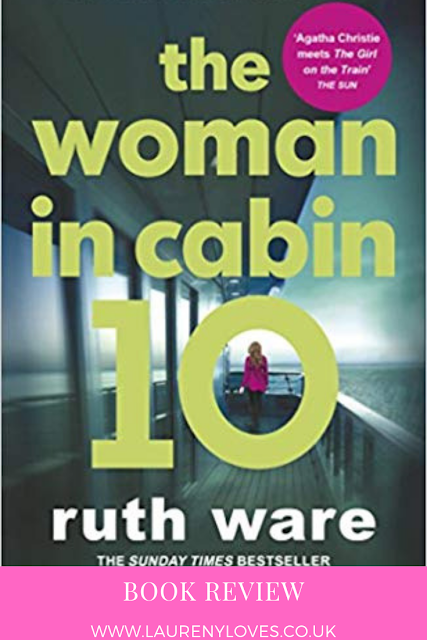 However I was gripped by it and would definitely read more of Ruth Ware's books.